Call Sunday Taxi at (865) 518-1223 for a safe and reliable ride. We strive to provide Knoxville, TN, residents with superior taxi service. Whether you need a ride to the airport or a ride to your doctor’s appointment, Sunday Taxi Airport will make sure you arrive on time and for a reasonable price. We are newcomers to the taxi business, so we work extra hard to prove that we’re a great choice. No matter what time of the day, our drivers are always prepared to drive you where you need to go. Please don’t hesitate to contact us if you have any questions. Our experts are available 24/7 to answer any of your questions. We plan on becoming a fixture in the Knoxville taxi business. When you need a ride to the airport, we hope Sunday Taxi Airport is the first taxi company that pops in your head. Since May 2013, we have driven our customers across the Knoxville area in our clean, comfortable taxicabs. Taking care of our customers is our number one objective. Our ground transportation service is perfect for those who don’t have access to their cars. If your car is in the shop and you need a ride to work, give Sunday Taxi Airport a call. We’ll get you to your job in a timely, affordable manner. For elderly customers, we want to be the first cab company they call when they need a ride to their appointments or shopping trips. For those who need long-distance service, we offer a discount to anyone who needs to travel more than 30 miles. 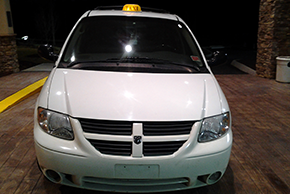 Sunday Taxi Airport strives to make your taxi trip as affordable and pleasant as possible. We’re a new business, and we’re eager to please our customers in Knoxville. Our goal is to provide each person that steps into our cabs with the best taxi service possible. Call us today to hear more!